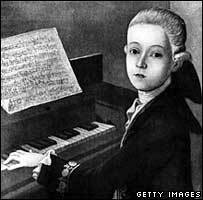 Child prodigies are nothing new. Mozart began composing aged five, and chess grandmaster Bobby Fischer played what became known as the Game of the Century aged 13. British mathematician Ruth Lawrence became famous when she graduated from Oxford University in 1985 aged 13 with a starred first-class degree. More recently a series of child prodigies have hit the headlines for precocious physical feats. Seven-year-old Braxton Bilbrey braved chilly, shark-infested waters to swim from Alcatraz Island to the San Francisco shore - something no inmates of the former prison are known to have managed. But even as their achievements are celebrated, questions are invariably raised. How far should gifted children be pushed - and what lies in store in the future? Braxton's coach, Joe Zemaitis, said only "one in 10 million" boys his age could have managed the 1.4 miles (2.25km) across choppy San Francisco Bay. Child swimmer Braxton Bilbrey is "one in 10 million"
He insists the boy has not been pushed, telling the BBC: "When Braxton came to me and said he wanted to swim every day, I was sceptical. "I said to his parents 'if he ever shows signs of being bored with it, back off. He's only seven years old, he doesn't need to be pushing this hard'. "But when it's all coming from him, it's more a question not of pushing him too hard but just having to hold him back." Having finished his swim, Braxton told reporters he could have done it again - and said his next aim was to swim all the way round Alcatraz and back. After that, he may tackle the English Channel, he added. 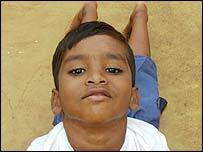 Meanwhile in India, four-year-old Budhia Singh has become famous for running marathons. However, officials who carried out health checks earlier this month have warned of problems and advised that he stop running long distances. Coach and mentor Biranchi Das has rejected their report and vigorously denies claims that he is exploiting the boy's talent for his own gain. In Spain, it is child bullfighters who have grabbed the headlines. Thirteen-year-old Jairo Miguel Sanchez Alonso has signed a deal to fight in Mexico because he cannot legally take to the bullring in his own country until he reaches 16. An only child, he had wanted to be a bullfighter since he was five and began taking part in fights on the family farm aged eight, according to his parents. US sports psychology consultant Alan Goldberg believes that few children have the capacity to achieve such goals on their own. 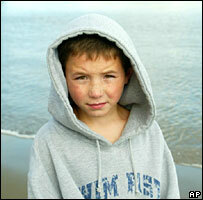 "What drives children are their parents," he told the BBC News website. "A lot of kids that age will have dreams but whether they act on them immediately really depends on the parents that they have." 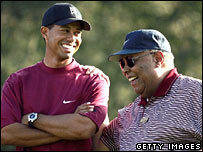 He cites golfing legend Tiger Woods's father, Earl, as an example of a parent who kept a healthy perspective while developing his child's talents from a young age. "Most of the time when you get a kid with a lot of innate ability, the parents overdo it and that causes a lot of problems for the kid," he said. "They achieve these great things but there's a significant physiological and emotional effect on their lives." Dr Goldberg warns that while some gifted young people simply burn out and drop out, others go on to suffer mental health problems associated with a lack of self-worth if they fail to achieve. Ellen Winner, professor of psychology at Boston College and author of 'Gifted Children: Myths and Realities', agrees that life can be difficult for a child prodigy. But she believes that if children are exceptionally talented, they, rather than their parents drive their pursuit of goals. "There certainly are cases where prodigies are told by their parents to practice, but by and large these kids are pushing themselves and the parents are running along behind trying to keep up," she told the BBC News website. Problems tend to come when the child becomes older - and his or her peers catch up in terms of achievement. "The skill of being a child prodigy is different to being a skilled adult, when you need to be a creator," Prof Winner said. "Most of them do not make the transition. It can be very narcissistically wounding because suddenly they are not special." Her advice to parents of gifted children? "Parents have to want their child and not make them feel they are living through their talent. I would say, listen to your child and enable them to do what they want to do."